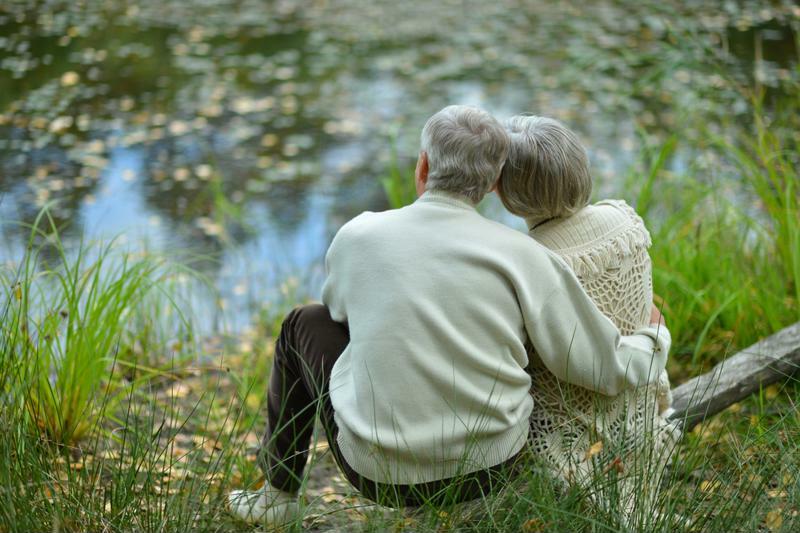 Romantic love is not only the domain of the the youth – seniors continue to long for intimacy and affection. Many maintain relationships even in the face of Alzheimer’s. In fact, having one’s significant other around can help muster up old memories and provide a source of soothing comfort. 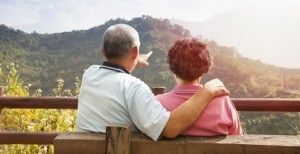 At Aegis Living, seniors don’t have to part from their loved ones – these communities can provide assisted living and memory care to couples who want to stay together through their golden years. Aegis of Bellevue is home to one loving couple, Bob and Dottie, who recently celebrated their 64th wedding anniversary. Dottie is in assisted living while Bob is in Life’s Neighborhood, where he receives specialized care for his worsening dementia. Each day, Dottie goes to Life’s Neighborhood to spend the whole day with him, engaging in cognitive activities, eating every meal and simply spending time together. The two are virtually inseparable. For their anniversary, the Aegis of Bellevue Life Enrichment and culinary teams threw them a special celebration: Private dinner for two among the intimate atmosphere of the library, bedecked with flowers and candles. The pair dined from a personalized menu as they enjoyed table-side music from the community’s music therapist. Despite his afflictions with dementia, Bob spent the time recalling memories of meeting Dottie, which he says was the luckiest day of his life. He talked about their home on Camano Island and reminisced about the grandkids running about the woods outside the house. Making Valentine’s Day special for seniorsIt was truly a magical night for the couple and a chance to show just how much they care for each other. Moments like these are immensely special to seniors late in life, but they’re particularly significant to those who, due to dementia, can’t always grasp hold of old memories like the day Bob and Dottie met. Send flowers through a delivery service, or make it an even more special by showing up yourself with a bouquet. Have the kids in the family make the senior in your life Valentine’s cards that can be hung up for display in his or her room. Enjoy a meal together – visit the Aegis Living community for breakfast, lunch or dinner. Pull your parents’ old love letters out of storage, dust them off and spend an afternoon reading them together. Make your own gift – you might craft your own Valentine’s Day card, write a poem or frame a picture of yourself as a gift to your senior. Simply be there – your presence can fill a void and provide comfort for a senior feeling lonely during this holiday. Stop by to see how we celebrate love and all of the holidays with our residents at Aegis Living.